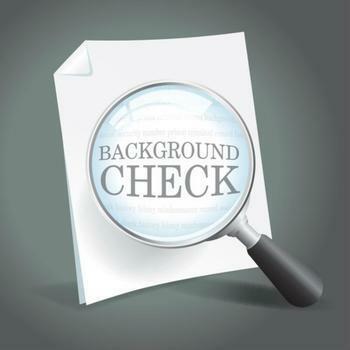 When you apply for a job, you should probably expect to undergo a background check. It's almost standard practice these days. A new survey from Careerbuilder.com suggests your chance of avoiding a deep probe into your background is actually pretty good. More than one in four employers – 28% – said they hire employees without performing a background check. Maybe that makes your chances of getting a job slightly better, but Careerbuilder says if you aren't a good match for the position, ultimately it will show up and be costly. “If an employee isn’t well-suited for the job or has a bad attitude, the time they spend not working could significantly impact your bottom line. That’s why it’s so important to make sure qualifications are substantiated,” said Ben Goldberg, CEO of Aurico, a CareerBuilder company. Goldberg says it may be hard to quantify the cost, but it adds up when you consider the loss of employee morale, the additional supervision that employee needs, productivity loss for the organization, revenue that’s not being generated, and client relationships that could be turning sour as a result of bad impressions. If you are applying with an employer who does perform background checks, here's what you should expect: the most common investigation is for any criminal activity. If you've never been arrested, you don't have much to worry about. Sixty-two percent of employers check for previous employment, so it's a good idea to be truthful on your resume. Sixty percent will check to make sure you are who you say you are and 50 percent will check your education credentials. Forty-four percent will check for prior illegal drug use and only 29% will run a credit check. All of this suggests that it will pay dividends to be open and honest with a prospective employer. If you aren't a good fit, it will become apparent very quickly. Twenty percent of employers who admit to making a bad hire say they will know within the first week of hiring a candidate whether or not they made a mistake. More than half say they will know within the first three weeks. That could mean your job search could start all over again.